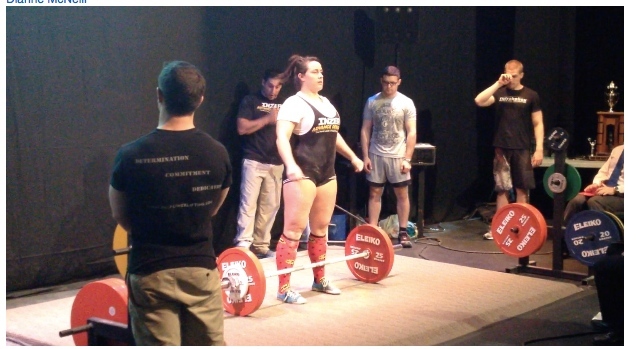 Local Powerlifter Breaks Records and Brings Home Gold! Kaiya McPay, a local up and coming Powerlifter, made an extraordinary showing at the BC Powerlifting Association’s Provincial Powerlifting Competition in Vancouver, bringing home a Gold Medal and smashing records along the way. Kaiya trains and coaches out of Campbell River’s own Crossfit O’Twelve gym. Powerlifting is an intense and exciting sport testing both physical and psychological strength. Powerlifters train to lift enormous weights and while there are obvious requirements of great strength, precision and technique, it is the overall iron will and correct tactical decisions which are necessary in order to mount the winners’ podium. There are three attempts in each of the disciplines, the best lift in each discipline is added together to arrive at a lifter’s total for the competition, they are then ranked. 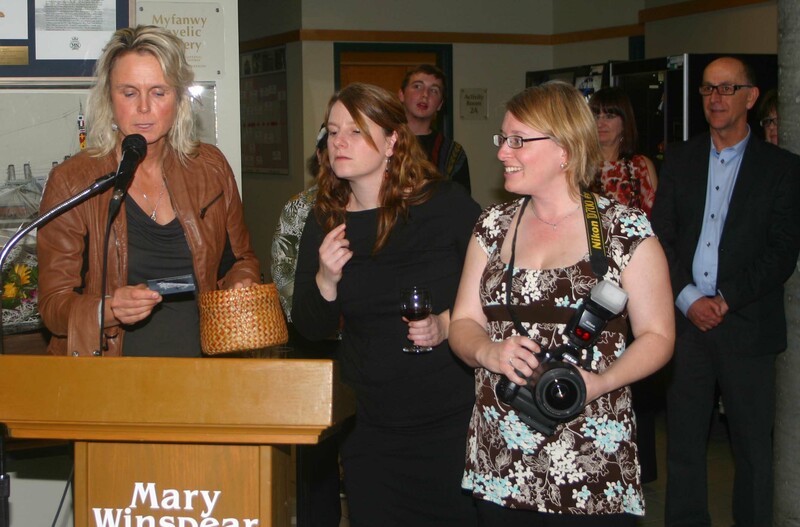 Photo: While everyone attending the Seaside Magazine celebration was a winner, Sue Hodgson, assisted by Editor-in-Chief Allison Smith and Seaside Photographer Jo-Ann Way, drew business cards for several special gifts handed out during the evening. (Link in footer for additional photos of the celebration). A wonderful time was had by all last night at the Mary Winspear Centre in Sidney as publisher Sue Hodgson and team members of the Seaside Magazine (formerly the Times) welcomed family, friends and business associates to share in an evening of celebration of their new magazine format. “Think of our publication as an extra dimension of our community space, a place where the West Coast culture is treasured and celebrated. We’re here to give you a glimpse of our people, places and ideas and unleash the vibrant energy that our local paradise has to offer. With a sip of complementary local wine and an array of succulent morsels catered by the Spitfire Grill, we were treated to musical arrangements by the Archers – Ethan Caleb, Sandy Hughes, Liam McLaren, Liam Moes and Robert McMullen. 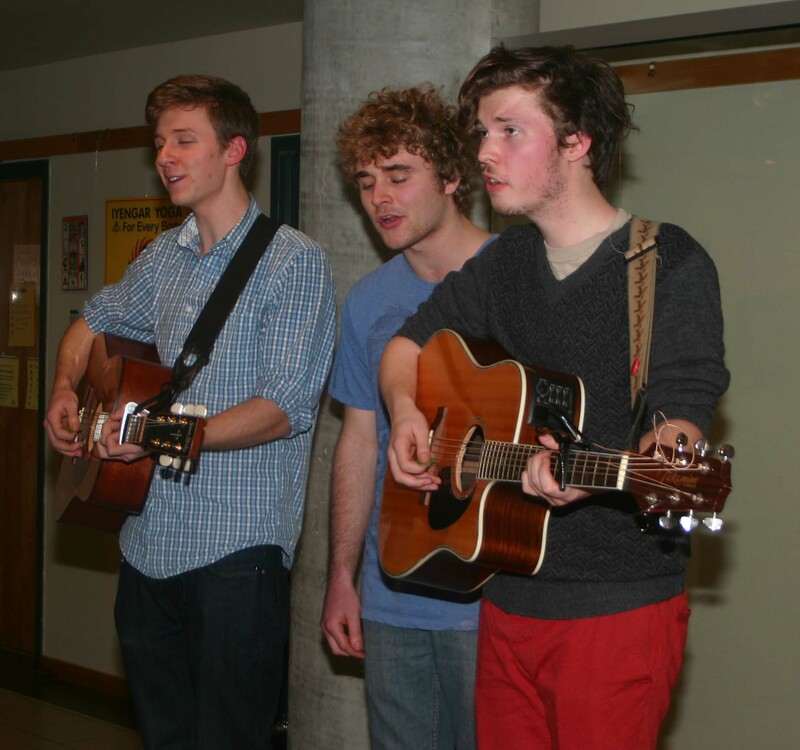 I only managed to catch three of the five in this photo, but it seems certain these talented young men from Brentwood Bay area are well on their way to producing their first record. Take a a few moments to link to their Crowd Funding Campaign and lend your support as they challenge for their place alongside the Rolling Stones Cover Band, Sheep Dog, and new young voices such as Kristin Hays, Jared Newton and Craig Strickland. On an environmental note, one of the guest speakers, Dave Allan of Rhino Print Solutions, took a few minutes to acquaint the audience with the rapidly changing world of Print Media which has become, perhaps contrary to a widely held public belief, amongst the most eco friendly of industries. If you have an opportunity to listen to Dave speak about the changing status of Print Media, take a few minutes to do so. Perhaps we can encourage Dave to prepare a U-Tube presentation! Exhibits were provided by several community business owners and representatives, including our very own Lynn McNeill (Expedia CruiseShipCenters, Sidney), Alysha Yakimishyn (YakimishynArt), and Lucas J. Copplestone (LJCArt). Another family member, Sean McNeill, was on a business trip to Toronto or he would have been present to display his new line of Burg travel watch/phones, a perfect gift for the frequent traveller. For further details link to Burg Canada. A networking event for professionals, by professionals. Thank you for a great evening. a group willing to spearhead the initiative. The small parcel of land on the east side of the Royal Oak Shopping Centre on West Saanich Road has never been developed beyond the historical building, now called the Fireside Grill, that sits at the north end. In 1964, John Maltwood gave over the entire property, including a sizeable endowment and valuable art collection, in trust to the University of Victoria. After maintaining the building and art collection into the late 1970s (ten years after the death of John Maltwood) the University began proceedings to divest themselves of house and property. Photo (September 2012): View of the 2.77-acre parcel looking south from West Saanich Road at the entrance to the Fireside Grill. After a successful court challenge, the University removed the art collection and sold or gave the remaining property to the Municipality of Saanich. While the details of discussion leading to the transfer is not known, it seems likely the University was anxious to see the property transferred as quickly as possible as they were receiving a great deal of adverse press over their decision to break the Maltwood trust. After taking possession, Saanich administered the building and property for several years as a lease, with the first lessee opening the popular Chantecler Restaurant. After the Chantecler closed, Saanich sub-divided off a portion of land around the building and through a bid process, sold the building and small parcel of land to the current owners and operators of the Fireside Grill. At some point in time, the entire property was rezoned as C-2 (commercial development). 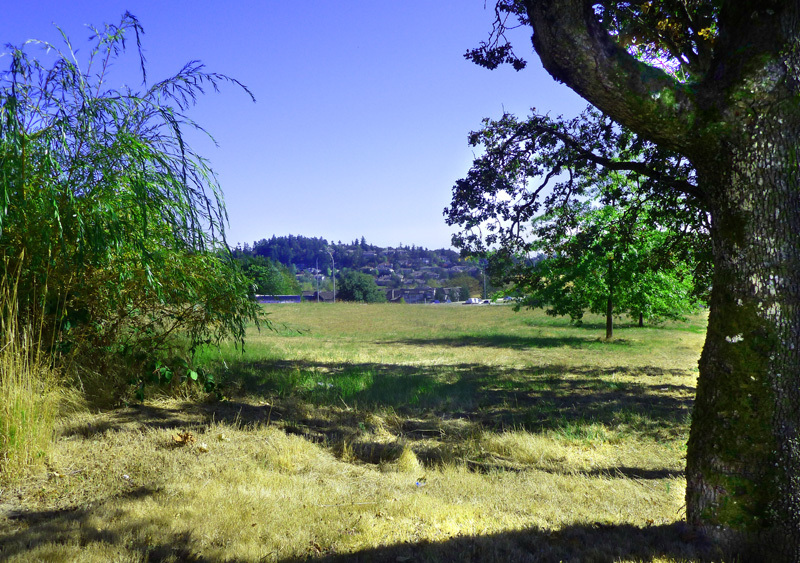 There is little doubt Saanich realized a sizeable profit on the transaction and at the same was able to retain clear title to the 2.77-acre parcel. The question that remains — what is to become of that 2.77-acre parcel of valuable green space? Both historically and presently, residents and businesses in the Royal Oak area have expressed a strong preference for keeping the property in the public domain either as green space, parkland, allotment garden or some combination of the three. The purpose of this article is to provide additional background on the property, of previous attempts to develop a strip mall and of the recent community-based suggestion of turning the property into an allotment garden. No one in the surrounding residential area or the present business community has either now or in the past, openly expressed interest in seeing the property turned over to commercial development. More Cold Lake Posts: For additional historical posts about the Cold Lake Area, go to Homepage Categories and link any any of the categories titled Adventure (for Big Kinosoo, etc), Family Stories 1940 – 1960 (Martineau River, Marie Lake, North Bay, Mink Ranching, etc. ), Biography (McNeill and Skarsen families), or Fire Department (History of the US Air Force Base at CFB Cold Lake) for short stories about life in and around the Cold Lake area during the 1940s to the present day). constructed well back from the front property line between 511 (left) and 507 (right), 13th Street. A temporary 6′ X 8′ wooden garden shed sits on the rear of the property. This vacant lot is one of the few remaining properties in the central core of the very popular Lakeside City North. 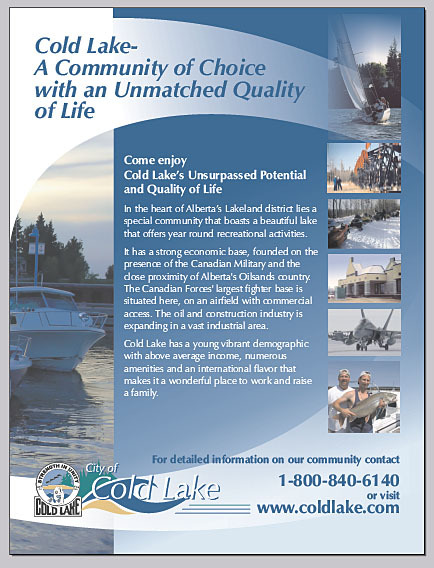 For a full street map and list of vacant lots in Cold Lake North: Link Here, then open “Vacant Lots, Cold Lake North, 2011”. For Provincial and general area maps as well as additional photos of the City of Cold Lake and area (as footers in acreage description): Link Here. The subject property is gently sloping back from the roadway and is in an area of well-kept homes and properties. Two intersecting alley’s at the rear of the property make this lot ideal for the building of a garage and/or pad to accommodate a motor home, other recreational vehicles, boat or a shop. The lot is serviced along 13th Street. At 43.28 meters long and 14.76 meters wide, the lot is average size for the area and larger than many recently developed lots in other areas of the city. For details on submitting written Expressions of Interest contact the Executor by email at: harold@mcneillifestories.com. The Expression of Interest is not a binding agreement on either party and is intended only to open dialogue regarding development opportunities and a possible sale/purchase agreement. View of back of lot looking North East over the fence from the South property line. 94.69 acre parcel of land. Township Road #640. 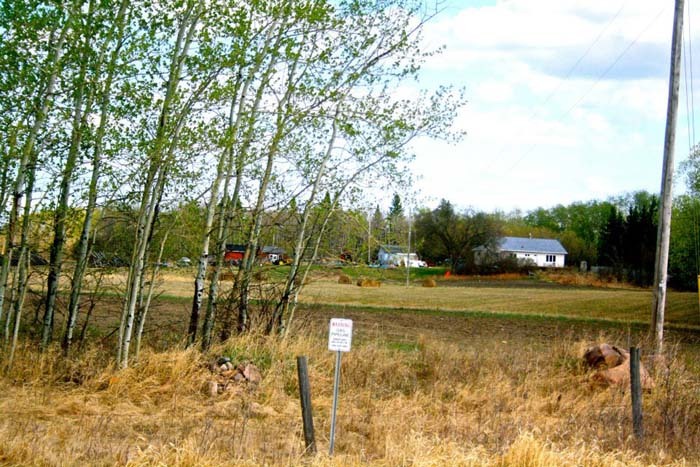 The subdividable acreage with seven oil wells is located close to the Municipal Airport and the City of Cold Lake. 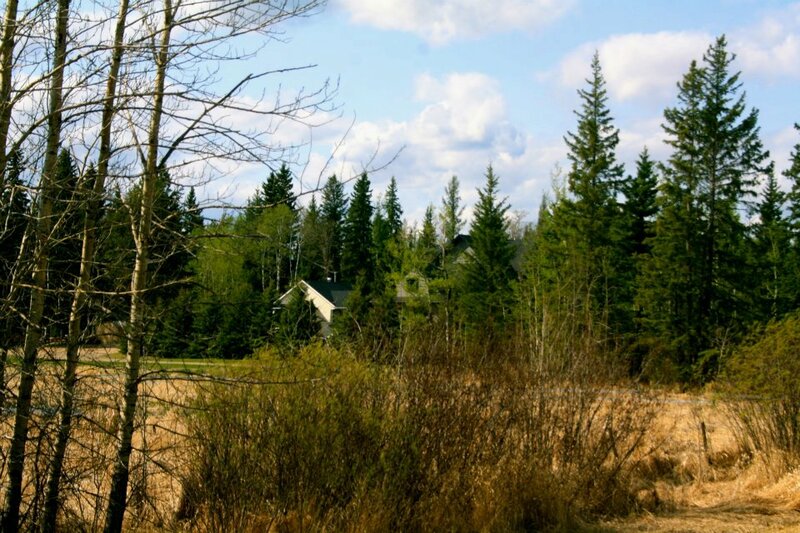 The property was part of the original McNeill Family Homestead taken over as a tree-farm by our parents, Dave McNeill (1908-1965) and Laura Skarsen (McNeill) (Wheeler) (1918 – 2008), in the early-mid 1900s. Dave and Laura were among the second wave of homesteaders in the Cold Lake area who helped to settle the land as they raised three children who later graduated from Cold Lake High School in the 1950s and 60s. 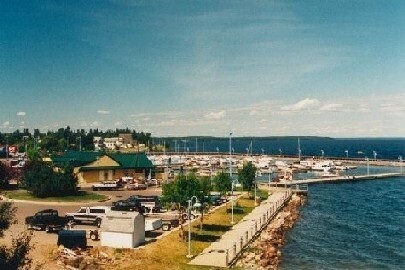 This acreage is in one of the finest recreational and economic development areas of Canada’s bustling northwest and just 5 kilometers by modern paved highway from the City of Cold Lake, a rapidly growing community of 15,000 situated on the sandy shores of the deepest and best known lake in Alberta and Saskatchewan (Link Pictures of Cold Lake). Together the two western provinces are the fastest growing and most economically vibrant in Canada. Local Area Map (left): The subject property is designated by the small red dot just South of Ethel Lake and East of Hilda Lake. 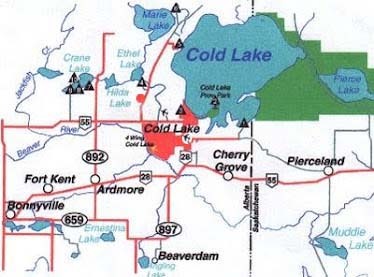 The City of Cold Lake, which includes the Canadian Forces Base, is designated by the larger red area. 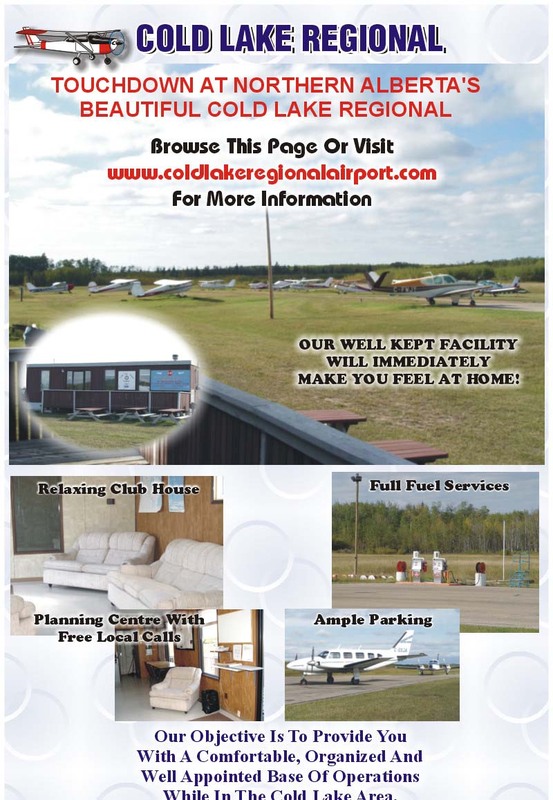 Maps #3 and #4 inserted as footers, provide the specific location and travel distances from the City of Cold Lake. 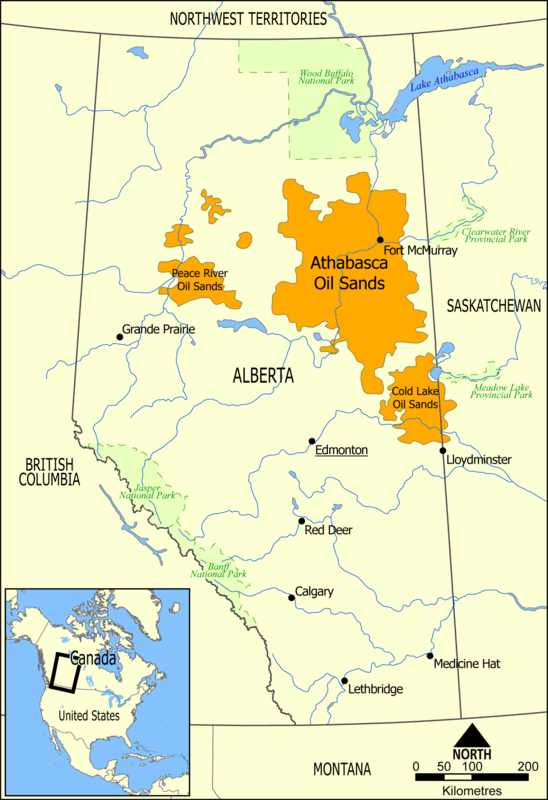 While the area is known worldwide as being the southern heart of the Athabasca and Cold Lake Oil Sands production area, it is equally well known as a pristine wilderness, filled with freshwater lakes, streams and forests teeming with hundreds of species of fish, wildlife and birds. It is also on the northern migration route of one of the largest populations of water foul in North American. 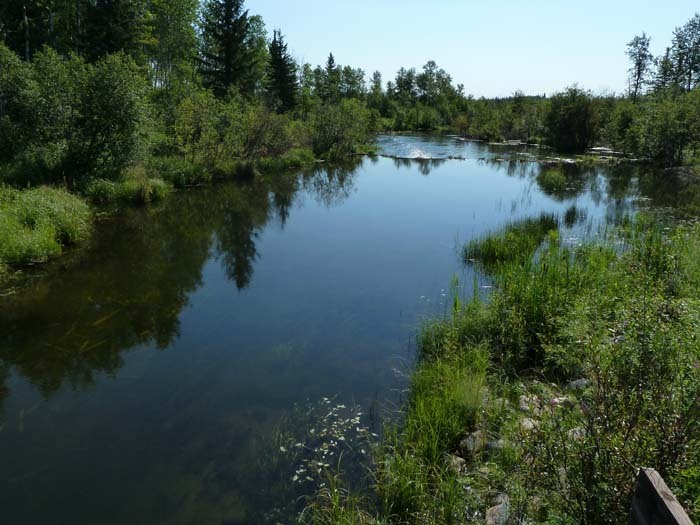 Access to this wilderness area can be found as close as Marie Creek, an easy ten-minute walk (1.5 km) from the property. A short canoe ride down the creek will place the adventurer among colonies of Beaver as they cut trees, build dams and swim among bulrushes filled with hundreds of nesting songbirds and ducks. In the early spring, the creek is teeming with spawning Jackfish and year-round moose, deer, bear and other wildlife can be found in area forests. Photo: From a family canoe adventure on the flooded Marie Creek. This photo was taken while standing on Highway #897. Link to the full story for a further description of the area. The City of Cold Lake provides a full range of business and recreational services with two large, modern malls (photo below of the Tri-City Mall) that hold the usual array of national and international retail outlets. As well, numerous boutique speciality stores cater to individuals wishing to escape the mall scene. 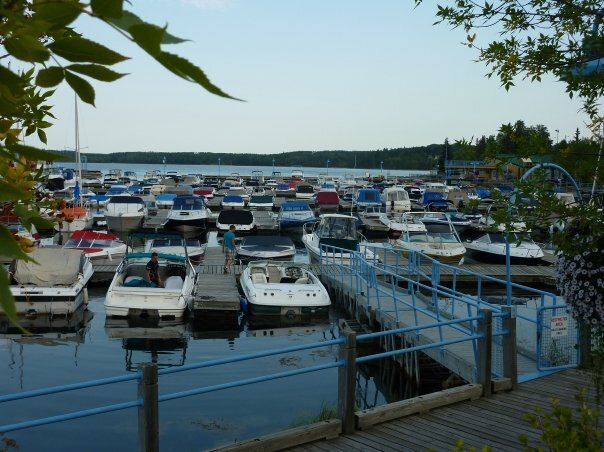 The historic Cold Lake Marina (photo in the footer) provides full service for sports fishermen searching for giant trout and walleye and, as well, provides full service to recreational sailors and boaters. In the winter a variety of sports opportunities is available including ice fishing, hunting, snowmobiling throughout the countryside and at the full-service ski facility at Kinosoo Ridge. The new Cold Lake Energy Centre recreation building provides service and entertainment equal to or better than that found any city across Canada. The new regional hospital in Cold Lake Hospital is just 10 minutes from the property along the secondary road that runs by the Regional Airport (see maps below). Regular school bus service is provided along Highway #897. At Canadian Forces, Base Cold Lake, Canada’s largest and busiest military base, military personnel and civilian workers provide year-round training in addition to hosting many NATO countries during the annual spring Maple Flag operation. A small section of CFB Cold Lake is dedicated to a commercial air terminal from which regularly scheduled flights is provided to Edmonton, Calgary and other key points in Alberta and Saskatchewan. The area also hosts world-class oil production facilities that provide heavy demand for high paying professional, skilled and labour services. Rounding off the economy is a strong retail and service industry that feeds the local community. With a number of infrastructure developments both in progress and in the planning stage, it appears area growth will be maintained for many decades into the future. 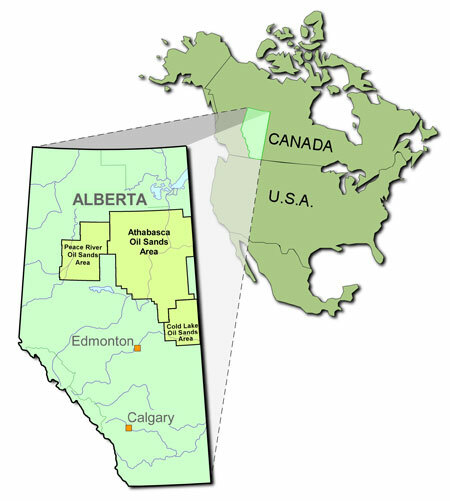 Today, both the best of the past and present are available as the modern paved roads and two airports provide easy access to Edmonton and Calgary, at which International Airports connect Alberta and Canada with the world. 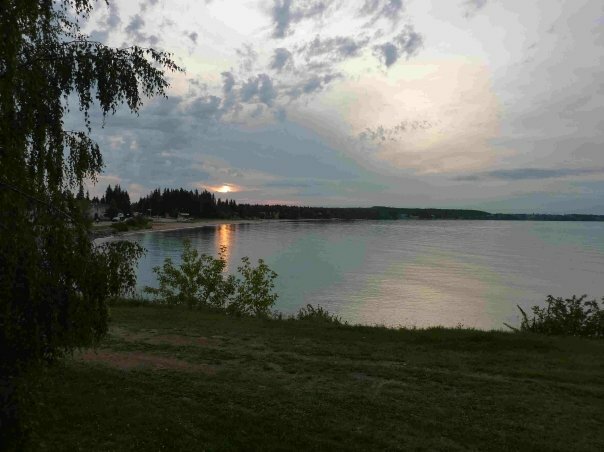 As Cold Lake is at the end of the north-east highway line, one can then enter the Canadian northland which today remains much as it was in centuries past. This single parcel of the farm/development land is serviced by a Class 1 paved highway (#897) referred to as the Primrose Highway. It is fifteen minutes from the City Centre, five minutes from the Cold Lake Municipal Airport and ten minutes from the CFB Cold Lake, the largest military training base in Canada (see precise distances under Map #4 in the footer). 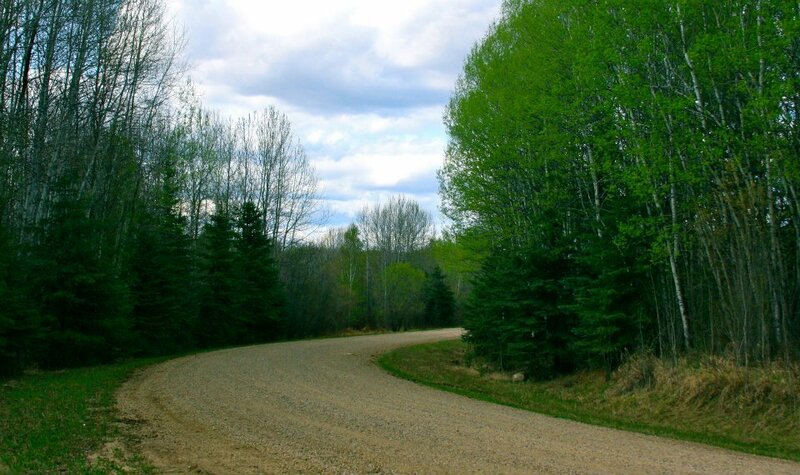 Well maintained gravel roads on the South and West boundaries provide ready access to three of the property borders and access to the North Side via the CNRL 20-acre lease. A small part of the property lies West of the North-South portion of Township Road #640. Power, gas and telephone are easily accessed along the main highway and an extension power line runs along the south boundary road. See attached maps for property location. The area along the Primrose Highway is now hosting mixed agricultural operations, hobby farms, country residential and recreational properties (photos in the footer). It is clean, quiet and offers easy access to a number of pristine freshwater lakes and streams such as English Bay, North Bay Recreational areas on Cold Lake, Marie Lake, Marie Creek, Ethel Lake, Hilda Lake, Wolf Lake and numerous others within minutes of the property. Other remote lakes and resorts may are easily accessed by float plane. 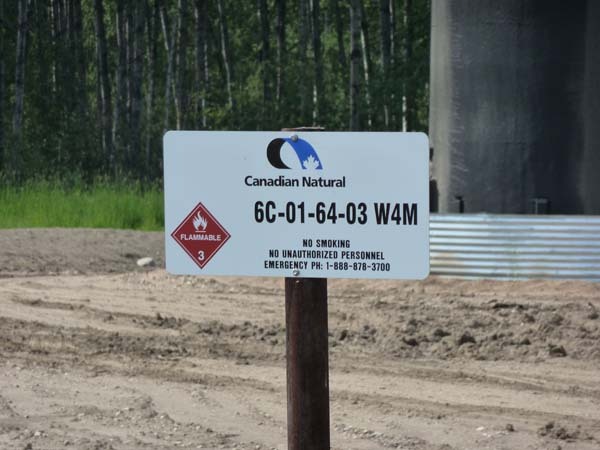 The energy firm, Canadian Natural Resources Limited (CNRL), a major player in the Oil Sands Development, leases the Northeast corner of the property where they have producing wells that are kept in immaculate condition. A 5-acre pad, now referred to as a “super pad” now hosts three producing wells and four further wells that await an increase in oil prices. The highest and best use of the property would be with single family residences, continued as recreational property or as a hobby farm. While it is heavily treed (a mix of poplar and spruce) there is also some open pastureland. W hile the soil classification indicates there are limitations that restrict the capability to produce forage crops, improvement practices are feasible. 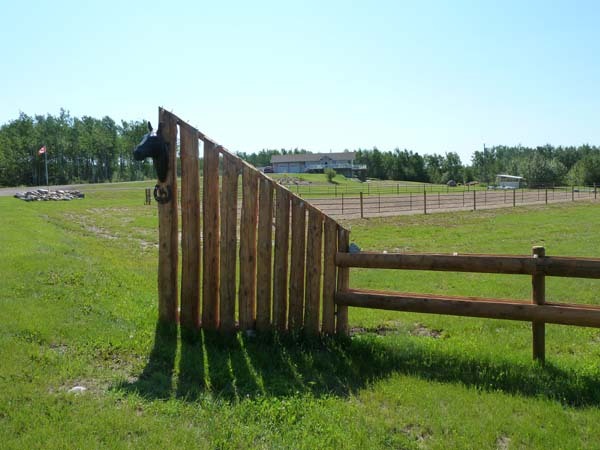 There are no adverse easements or encroachments. 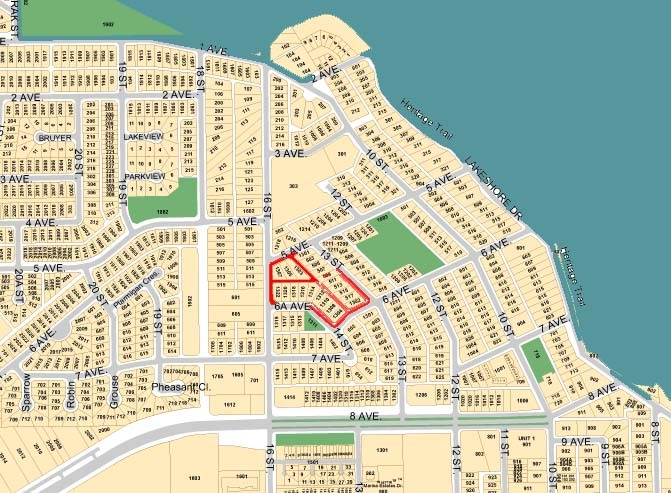 The potential for sub-division exists as permitted by the Municipal District of Bonnyville (#87) under the Land Use By-Law. Reference Agricultural Land Section #65.4, p. 38ff (LINK). Several small and one larger sub-division have been completed on neighbouring. 3 – 5-acre parcels in the area. These parcels were sold in the $90,000 to $100,000 range in 2010 and since then have increased in value. (reference development map #5). Lots in the City of Cold Lake range from $150,000 (low end) and for larger area developments, acreages would run from $500,000 upward. 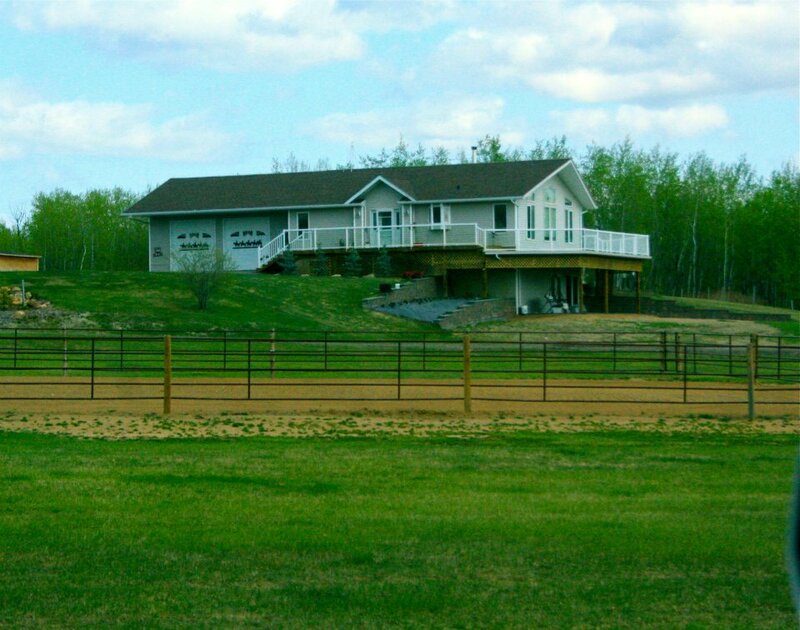 Whether you wish to build a multi-million dollar home or a log cabin retreat, this property provides ample value. For details on submitting a written Expressions of Interest contact the Executor by email at: harold@mcneillifestories.com. Agent contact is invited, however, there will be an expectation of the Agent having a specific offer against which a suggested finder’s fee for a confirmed sale would be made in a formal Offer to Purchase. From the intersection of Hwy #28 and #55, travel West for 8.2 km on Hwy #55 to the intersection of Hwy #897 (Primrose Highway). Turn right and travel North on Hwy #897 for 5 km. The property (in yellow) begins at the intersection with the gravel road (Township Road #640) and continues north along the left side of the Hwy #897 to the CNRL lease which marks the NE boundary). From the CFB Cold Lake rear gate, travel north for approximately 5 km. on Hwy #897 to Hwy #55, then through the intersection to continue North as noted above. 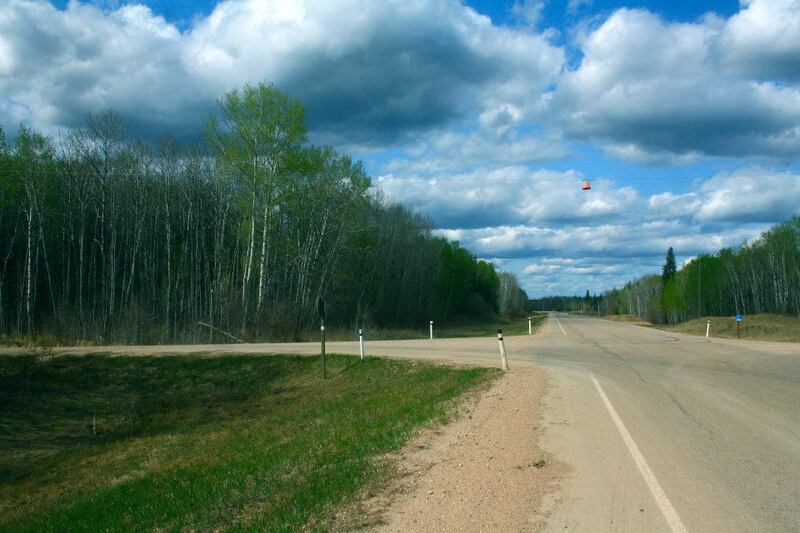 A secondary highway (running north of and parallel to Hwy #55, provides access to the Cold Lake Regional Airport (small aeroplane on the map and as footer below). 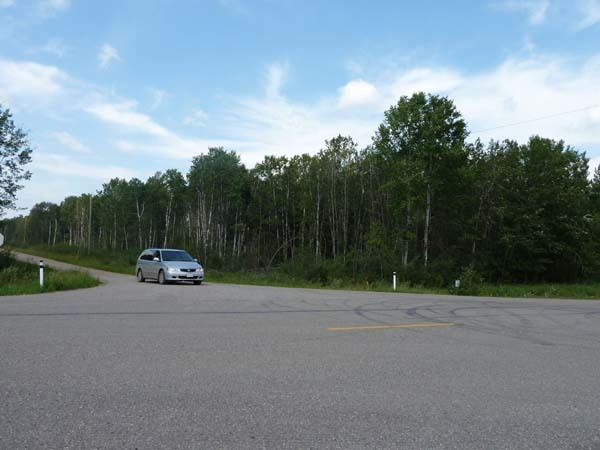 This is the secondary road is also the shortest route to the Regional Hospital, Kinosoo Beach and the north end of the City of Cold Lake. Aerial View (#5) With sub-divisions and topographical lines superimposed. 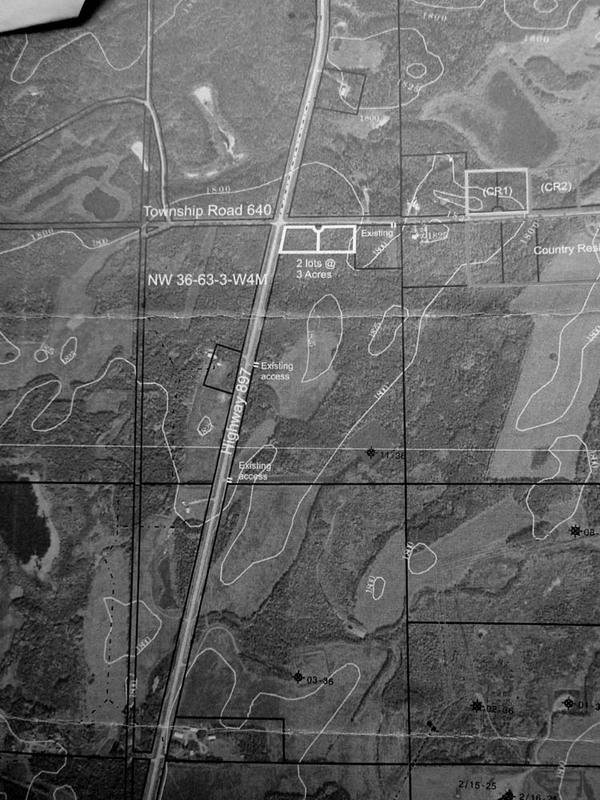 Skarsen L., property begins north of Township Road #640 (under the words). Property sub-divided on the opposite corner includes two 3 acres and one 5 acre parcel. Further east, on the next quarter, is Country Residential (CR2) and north, across the Township Road from that parcel, are two further parcels, zoned CR1 and CR2 as well as one CR2 (not quite visible) in the top right corner of the map. Sprinkled throughout the area are other 5 and 10 acre parcels. on the left side of the road (perhaps 5-7 acres). The Original Family Farm is now sold and a new house built on the property. (Above Photo) This was part of the original W & L Skarsen farm where our mother and stepfather lived for nearly thirty years. The original house, built in the 1940’s and moved in the 1970’s, now sits behind this new home at the corner of Highway #55 and Hwy #897. (Two Photos Below) This property now sits directly across from the property listed for sale. 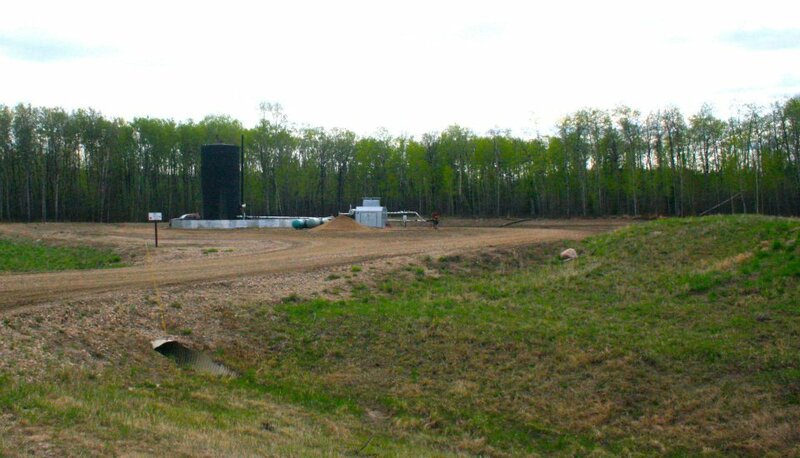 The driveway to the 20-acre CNLR (oil well section) sits directly across from the driveway to this property. Other neighbouring properties are shown below. Typical building site on various properties in the area. Above Cartoon: In Lacombe, Alberta, Betty speaks to Don about her environmental concerns. Don comes up with an immediate and helpful response. Victoria, BC. The “Going Green” comments, posted below, were picked up from an article posted on Facebook by my dear cousin, Elizabeth Dewan-Curtis-Munroe. It struck a cord as it clearly puts the push to “Go Green” in a historical context. 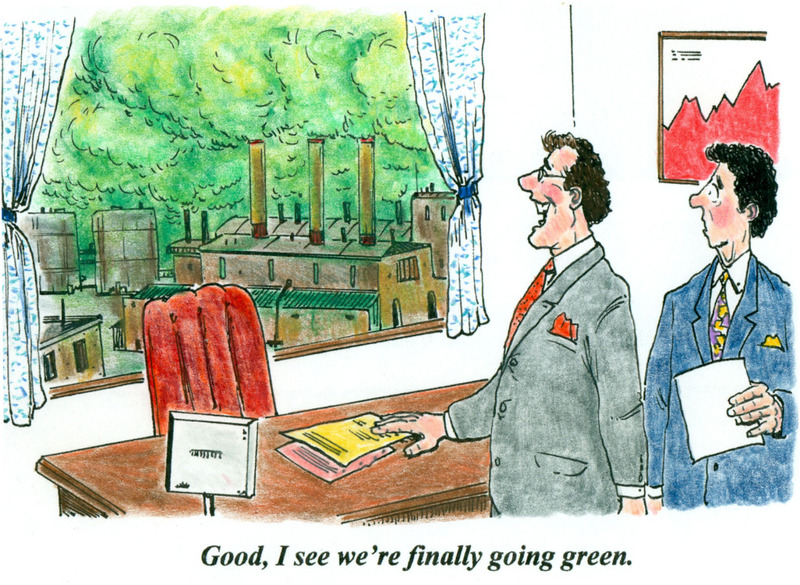 It sometimes seems the current day “Go Green” effort has more to do with marketing, business and special interest groups than with actual environmental concerns. Betty’s Facebook re-post, again re-posted below, puts these matters in historical perspective. 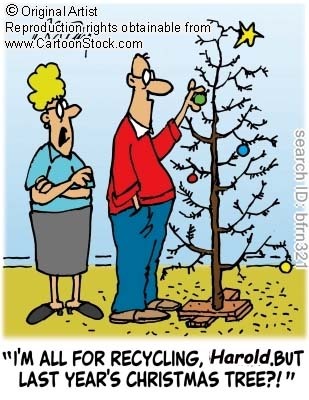 Cartoon (Victoria, BC, 2011): An inveterate ‘we need to go green’ decorator, Harold is spoken to by Lynn about his intent to recycle last year’s Christmas Tree. (1) In Canada, per capita bottled water consumption grew 40% from 1999 to 2004. In 1999, each Canadian consumed approximately 24.4 litres of bottled water. By 2005, it had increased to about 60 litres per person, with sales worth $652.7 million. Checking out at the grocery store recently, the young cashier suggested I should bring my own grocery bags because plastic bags weren’t good for the environment. I apologized and explained, “We didn’t have this green thing back in my earlier days.” The clerk responded, “That’s our problem today. Your generation did not care enough to save our environment for future generations.” She was right about one thing — our generation didn’t have the green thing in “Our” day. So what did we have back then…? After some reflection and soul-searching on “Our” day here’s what I remembered we did have…. Back then, we returned milk bottles, soda bottles and beer bottles to the store. The store sent them back to the plant to be washed and sterilized and refilled, so it could use the same bottles repeatedly. So they really were recycled. But we didn’t have the green thing back in our day. We walked up stairs, because we didn’t have an escalator in every store and office building. We walked to the grocery store and didn’t climb into a 300-horsepower machine every time we had to go two blocks. But she was right. We didn’t have the green thing in our day. Back then, we washed the baby’s diapers because we didn’t have the throw-away kind. We dried clothes on a line, not in an energy gobbling machine burning up 220 volts — wind and solar power really did dry our clothes back in our early days. Kids got hand-me-down clothes from their brothers or sisters, not always brand-new clothing. But that young lady is right. We didn’t have the green thing back in our day. Back then, we had one TV, or radio, in the house — not a TV in every room. And the TV had a small screen the size of a handkerchief (remember them? ), not a screen the size of the state of Montana. In the kitchen, we blended and stirred by hand because we didn’t have electric machines to do everything for us. When we packaged a fragile item to send in the mail, we used wadded up old newspapers to cushion it, not Styrofoam or plastic bubble wrap. Back then, we didn’t fire up an engine and burn gasoline just to cut the lawn. We used a push mower that ran on human power. We exercised by working so we didn’t need to go to a health club to run on treadmills that operate on electricity. But she’s right. We didn’t have the green thing back then. We drank from a fountain when we were thirsty instead of using a cup or a plastic bottle every time we had a drink of water. We refilled writing pens with ink instead of buying a new pen, and we replaced the razor blades in a razor instead of throwing away the whole razor just because the blade got dull. But we didn’t have the green thing back then. Back then, people took the streetcar or a bus, and kids rode their bikes to school or walked instead of turning their moms into a 24-hour taxi service. We had one electrical outlet in a room, not an entire bank of sockets to power a dozen appliances. And we didn’t need a computerized gadget to receive a signal beamed from satellites 2,000 miles out in space in order to find the nearest pizza joint. But isn’t it sad the current generation laments how wasteful we old folks were just because we didn’t have the green thing back then? Please pass along this link to others. Perhaps you may have some thoughts of your own. If you do, please pass them along by posting below or by email or facebook. If you wish, your comments will be added to the list on this post (credited). If you happen to find any good cartoons or clips, please pass along and they will be added. I find this fun, as it brings back many memories of my growing up in the 1940s a time when we didn’t do the ‘green thing”.